One Piece Chapter 909: Seppuku Reading Tips: Please read One Piece Chapter 909: Seppuku english scan online from left to right. You can use left (,) and right (.) 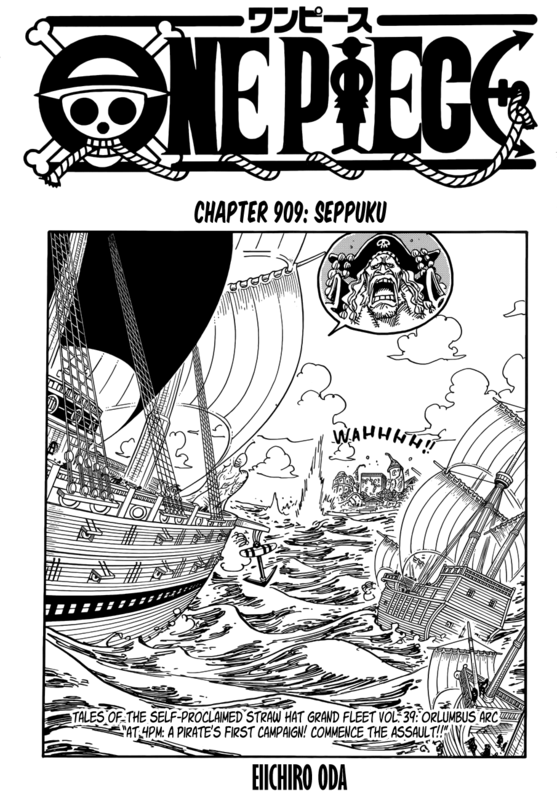 keyboard keys or click on the One Piece Chapter 909: Seppuku image to browse between One Piece Chapter 909: Seppuku pages.